Following a weekend ski trip in Montana, Baier, his wife and their two sons were caught in a harrowing car accident on the return trip Monday. Everyone walked away from the crash with minor injuries — a miracle that has the Fox anchor counting his blessings. Recounting the crash, Baier said he was driving and was roughly two miles away from the airport when he hit a patch of ice, sending the SUV he and his family were in whirling into a busy intersection. A passing driver named Zach Black stopped to hold the passenger door open while each one of Baier’s family members escaped the upturned vehicle. David, who was driving the pickup truck, called EMS and the police. With tears welling up in his eyes, Baier thanked Zach, David and every one of the first responders who assisted him and his family following the car accident. The Fox newscaster also received some support from one of his primetime competitors, MSNBC host Rachel Maddow, who sent boxes of pizza to the Montana Highway Patrol and EMS personnel who rescued Baier and his family. 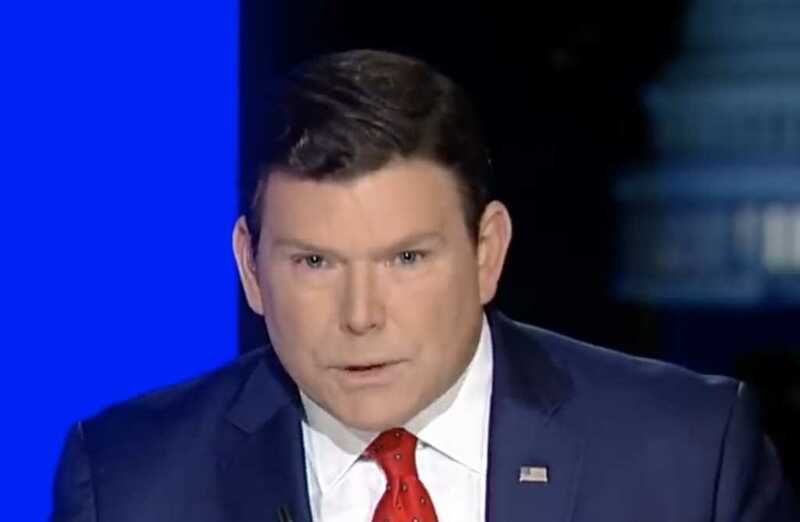 In a tweet of his own, Baier thanked Maddow for providing lunch to the first responders and said his team at “Special Report” would be purchasing a meal for them Wednesday.